Seniors Month is almost over and after four successful On Ya Bike! 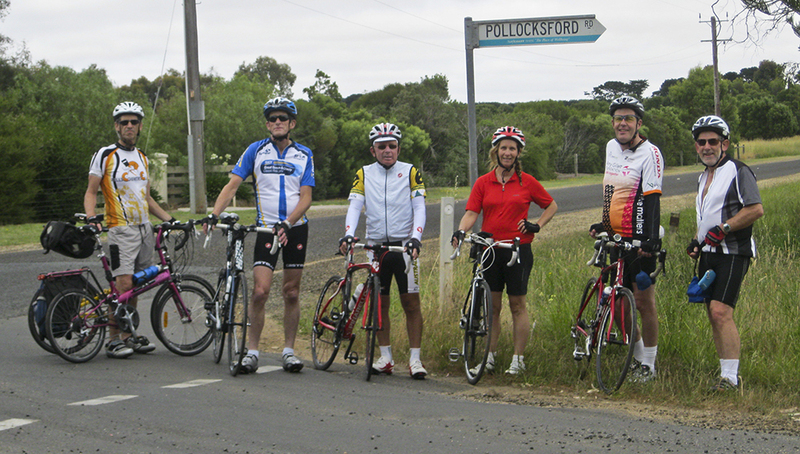 rides led by Rod, Peter, Stella and Paul, the final ride of the series is Allan’s Mystery Ride next Wednesday. This will be the longest in the Seniors Month series – a circuit of around 70km. Allan has chosen an interesting (but mysterious) course, on sealed roads and paths. We do know that there will be a coffee stop somewhere along the route. With Allan’s excellent planning, and his fisherman’s eye for the weather, it’s likely that there will be a tail wind to bring us home. If you’d like to join us, the ride leaves at 9AM from Rippleside Park, Rippleside. You need a roadworthy bike, a helmet and the bike fitness to maintain around at 20kph on-the-bike average speed over 70km in normal riding conditions. Distances available varied. The easiest were a Family Ride of 20km and a 50km ride that included a ride over West Gate Bridge. Then there were several 100km options, a 135 km ride starting at Geelong, the Classic Around the Bay of 210 km and, finally, the challenge of 250km in a day, taking in a loop around the Bellarine Peninsula through Drysdale, Portarlington, Indented Head and St Leonards, including just a few undulations to get those legs working. Most of the cyclists on the 250km route were ultra fit and ultra serious – millions of dollars worth of top end carbon fibre passed before our eyes, as well as a few beloved treadlies. This old Raleigh folder was ‘the best’, with 3 speed Sturmy Archer internal rear hub, it beat the single speed this rider rode in 2012. It was 9:46AM and he was cruising with only 130km to go. 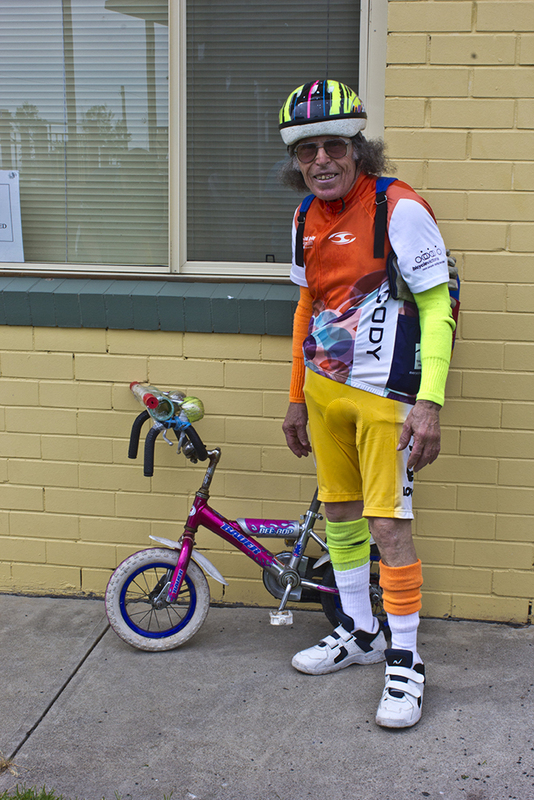 This single speed cutie may seem a little eccentric – but it carried this gent from Geelong to Queenscliff via Portarlington and back to Geelong – a distance of around 90km. Riders came from all over Australia and abroad. This trio came from Canberra and were looking fit and ready for anything after 120km. They rolled in at around 10:50AM looking cool and relaxed. Their faces looked familiar. ‘This is our second time through,’ one said. 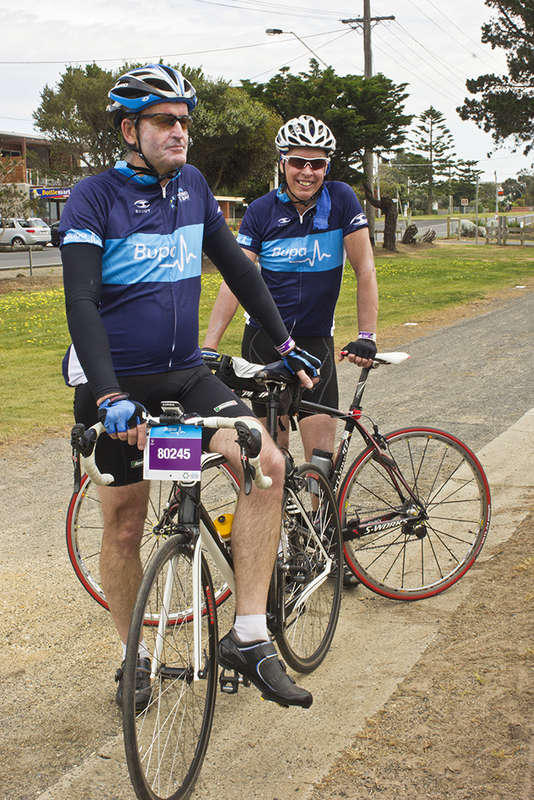 Not content with 250 km in a day, they’d decided to ride an extra Bellarine Peninsula loop to give a total of 300km. Bravo! Congratulations to all the riders, and the hundreds of support volunteers without whom this sort of ride wouldn’t be possible. 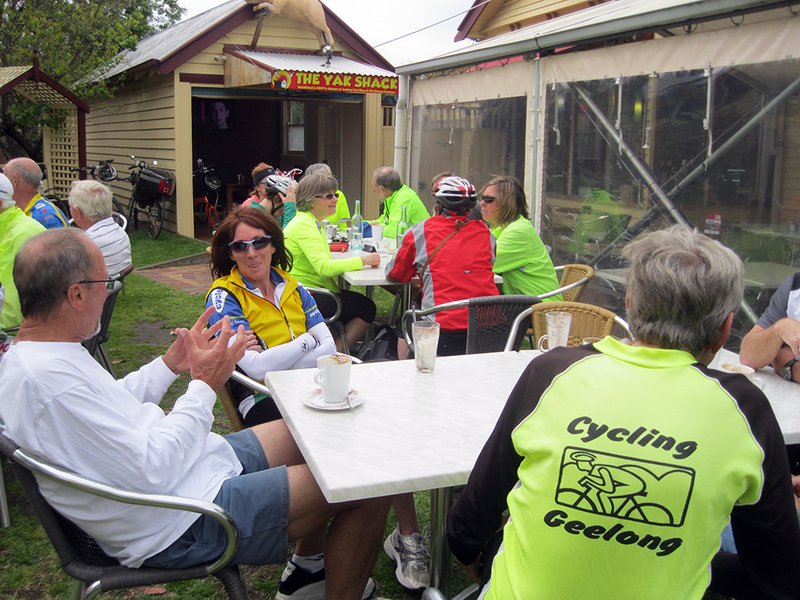 Over 30 cyclists braved the strong northerly wind yesterday to ride from Geelong to Drysdale on the Bellarine Rail Trail. This was the third On Ya Bike! ride for Seniors Month, 2013. The rail trail is sealed for some of this ride. We hear that funding has now been obtained to seal this section of the trail fully. Just a few of the cyclists enjoying a break at Cafe Zoo in Drysdale. 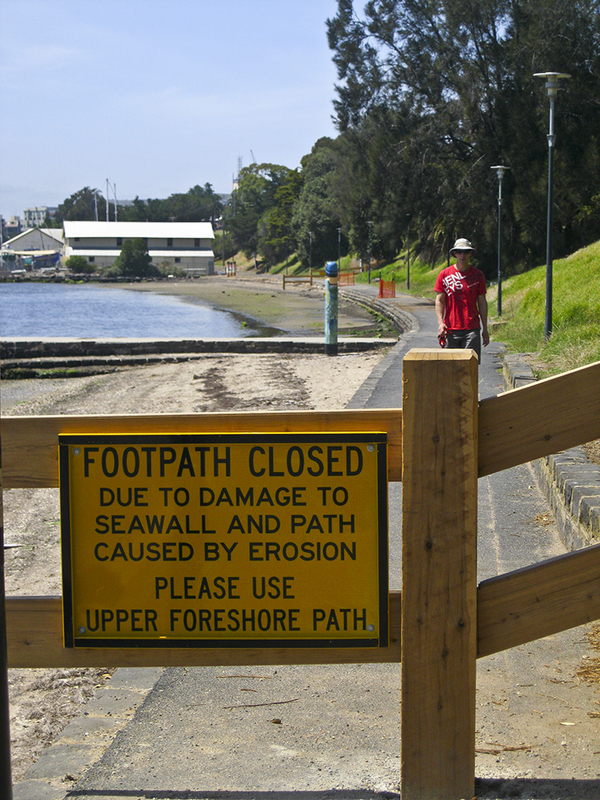 The experience of sealing rail trails has been shown to be a boost for tourism. 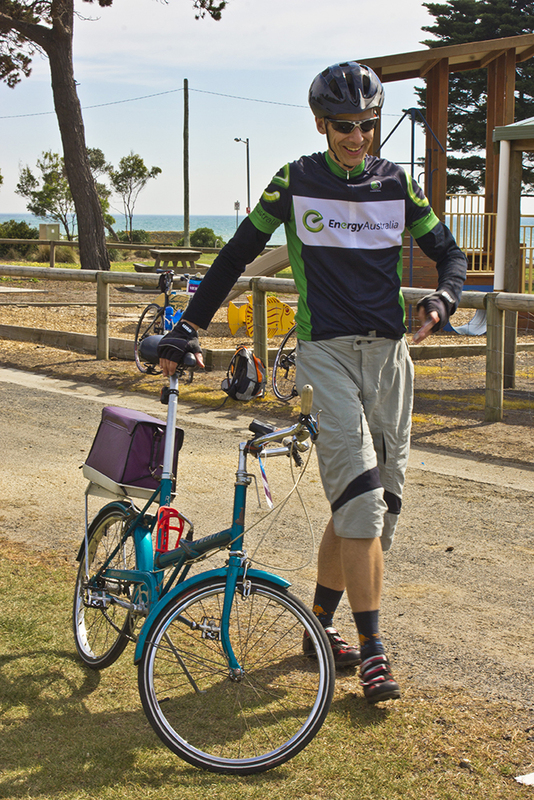 The Bellarine Rail Trail is already popular with locals, and used by some tourists on holiday. When it is finally sealed all the way from Geelong to Queenscliff, we can expect in influx of cycle tourists. If you’d like to join us for the next On Ya Bike! meet us a the starting point, South Barwon Reserve, Belmont (entry from Barwon Heads Road) at 9AM next Wednesday, October 23rd, for a ride to Barwon Heads. Yesterday, Wednesday 16th, 2013, was Ride to Work Day all over Australia. According to the Victorian Bicycle Network over 150,000 cyclists were registered to ride. The Geelong gathering was in Gore Place, off Corio Street. There were cyclists and bicycles in all shapes and sizes, all enjoying the beautiful hot spring weather – a perfect way to start the day with a free breakfast at a participating coffee shop around the city. Then it was off to all points of the compass to start the day’s work. Statistics are not yet in for the Geelong region, but looking at the number of cyclists cycling along the waterfront and then south of the city, there were hundreds more than usually cycle to work. Let’s hope that some of them become regular commuting cyclists. The more people ride bikes, the more aware other road users become of cyclists, and the safer cycling becomes. October is Seniors Month in Geelong. Cycling Geelong is running weekly bike rides around the Geelong region. The rides are recreational, and open to all – no age limit. 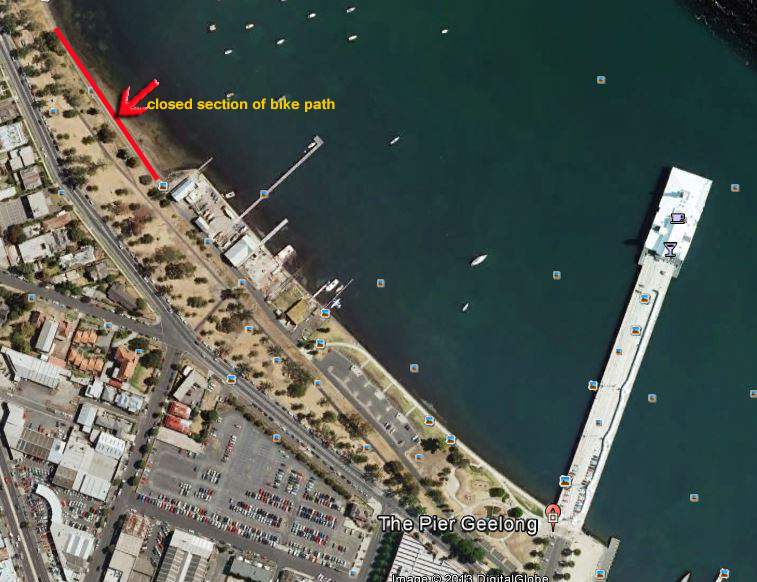 The third ride is this Wednesday (October 16th) starting from the Rail Trail, corner Breakwater Road and Carr Streets, South Geelong at 9AM. Cyclists need a roadworthy bike and approved helmet. The ride is approximately 40 kilometres. There will be a coffee stop. Starters on last week’s On Ya Bike! ride to Lara. 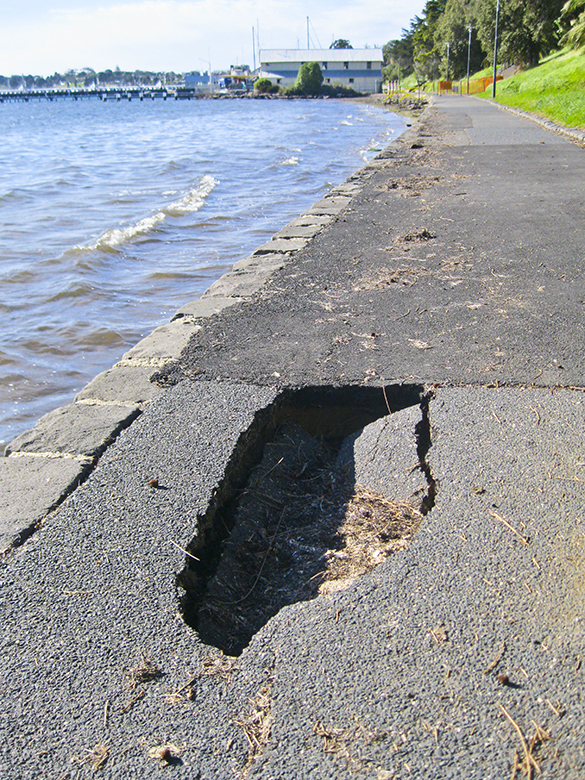 After recent bad weather, the lower bike path between Griffin Gully and Corio Rowing Club, has developed erosion. It is closed at one end, but can be navigated with care.